Tom and Becky choose the Creature Feature favorite every Tuesday morning! Your pet could win bragging rights and their photo will be shared on our social media! You can win $25 to Farm Supply! 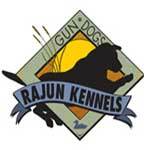 Creature Feature is Brought to you by Marty Johnson’s Rajun Kennels, teaching communication for both the dog and owner that is simple to learn.